You don’t have to resort to metal braces to restore your smile. Clear braces can provide you with the corrective solution you’re looking for without broadcasting to the world that you have braces. Their crowded teeth have put them at risk for developing tooth decay, gum disease, and other oral conditions. Invisible braces are removable, and metal-free. With these clear braces, patients can remove them while eating, brushing, and flossing, and easily snap them back in when they’re done. Invisible braces live up to their name; no one will know that you’re wearing them. To create your clear braces, Dr. Kidess will utilize advanced 3D technology to create a plan that will slowly align your teeth. This can provide patients with a clear idea as to how beautifully straight and functionally aligned their teeth will become over time. Feeling Too Old For Braces? There is no such thing as too old. Orthodontics or Braces are not limited to kids and teenagers. 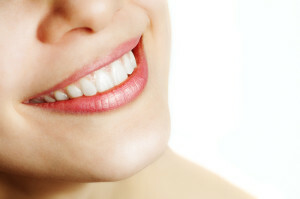 But if you have crowded teeth and want an alternative, often porcelain veneers are an option. Your next step is to set up an appointment to evaluate your teeth/smile and we can recommend the best treatment for you. To schedule a consultation with Dr. Kidess for clear and invisible braces, contact our Phoenix area dental office at (480) 991-2290.